We’re kicking off the holidays with a bang! Next weekend we have packed the calendar with fun events to start celebrating the most wonderful time of the year. We have cleared off our hangers to make room for new inspirations. 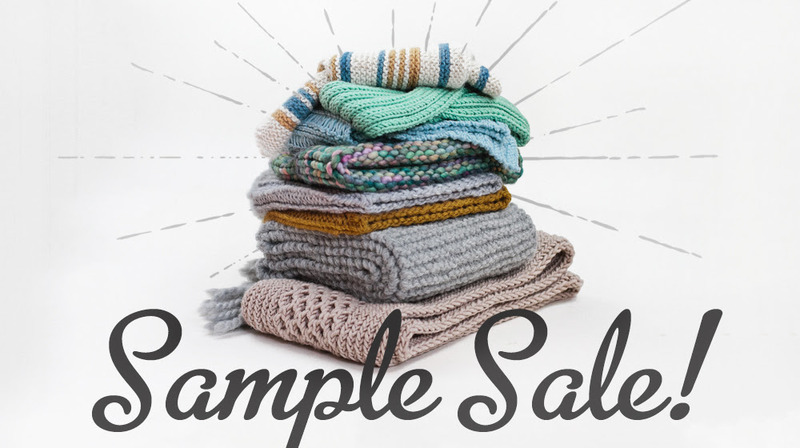 Starting at Noon on Friday, the back table will be covered with a collection of sweaters, scarves, hats, shawls, mittens, slippers, baby items, and more. 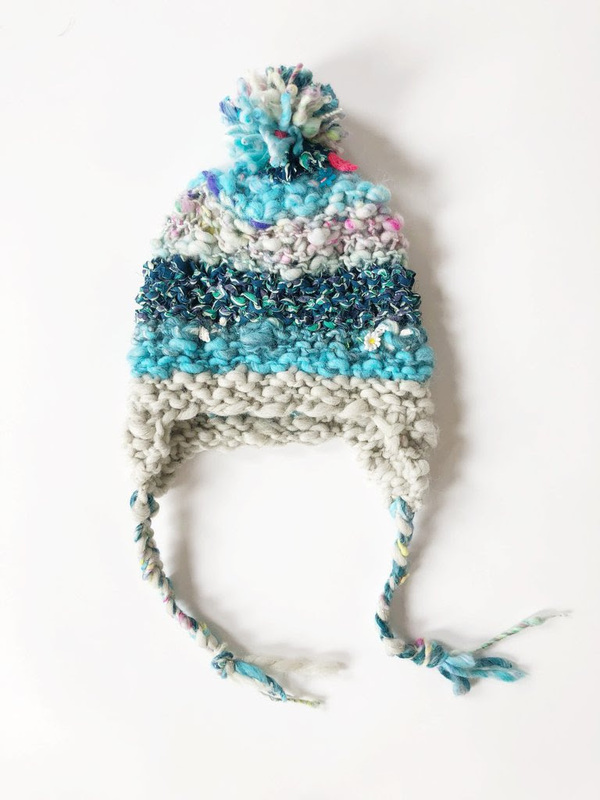 Everything is handmade and will be priced to sell. 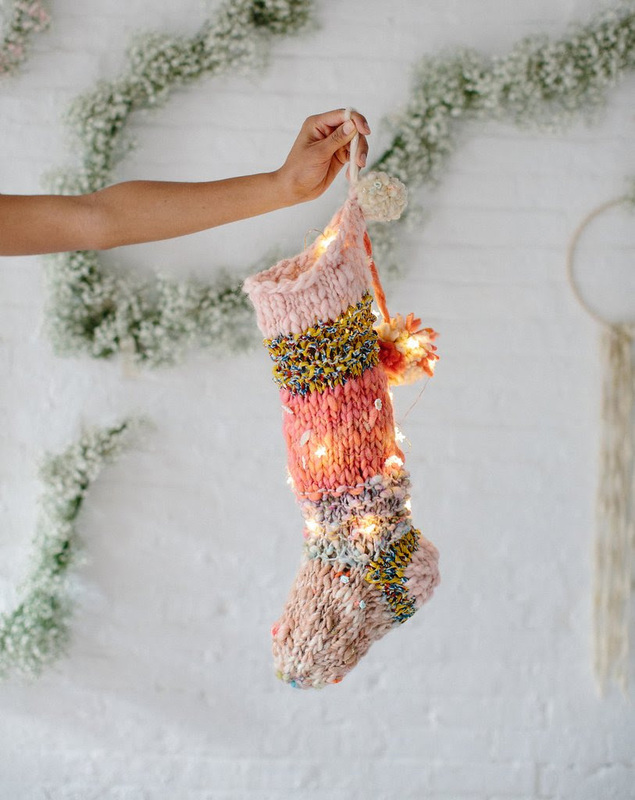 Find great gifts – we won’t tell anyone that you didn’t make it. 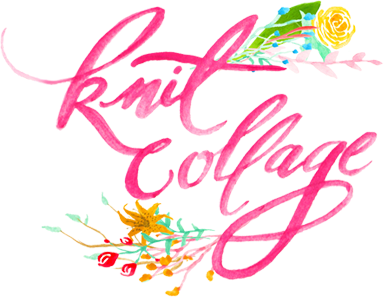 Knit Collage was founded by Amy Small, whose passion for hand spinning and yarns inspired her business. 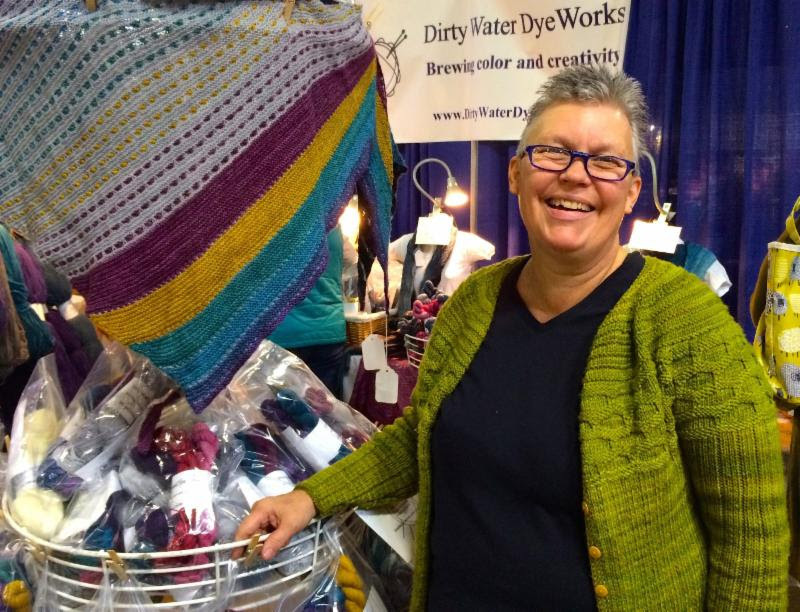 She supports a group of women who all hand dye, card and spin every skein. Meet Amy and hear about her story from 3 – 6. 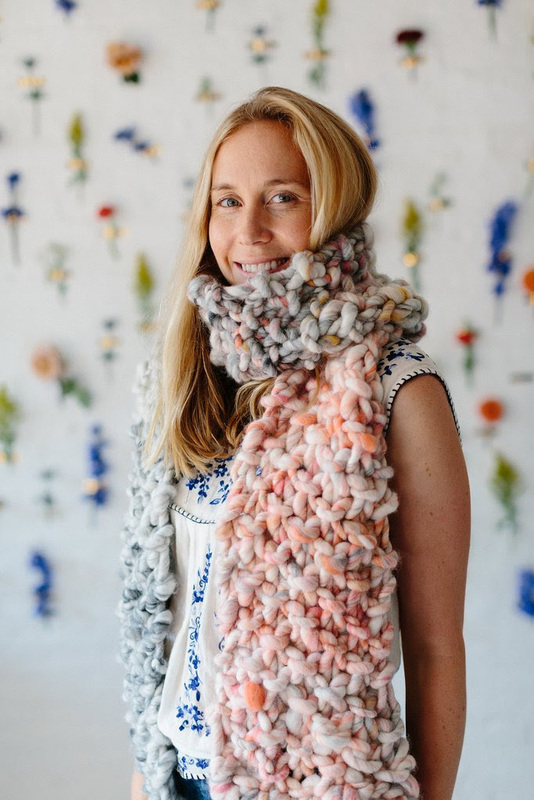 She’s bringing armfulls of quick knits and giftable items that are sure to inspire! 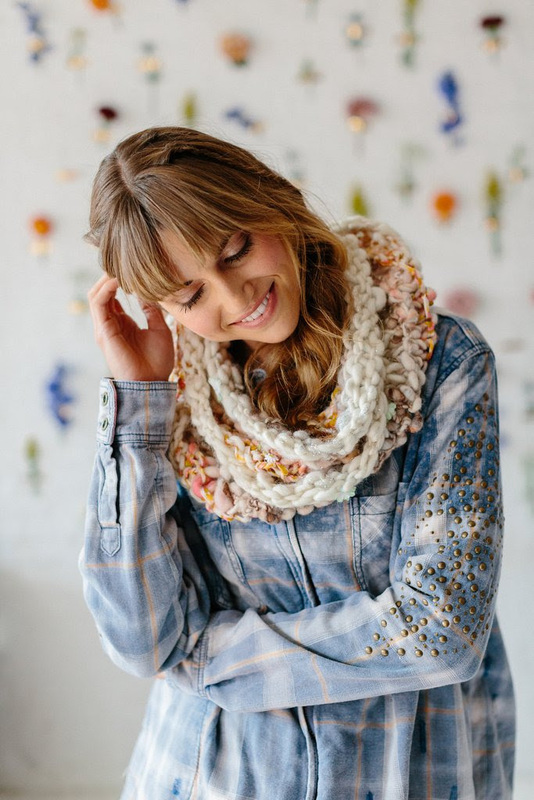 Sampler Kit Cowl – this pattern can be knit or crocheted!! Have you met Spun Cloud? 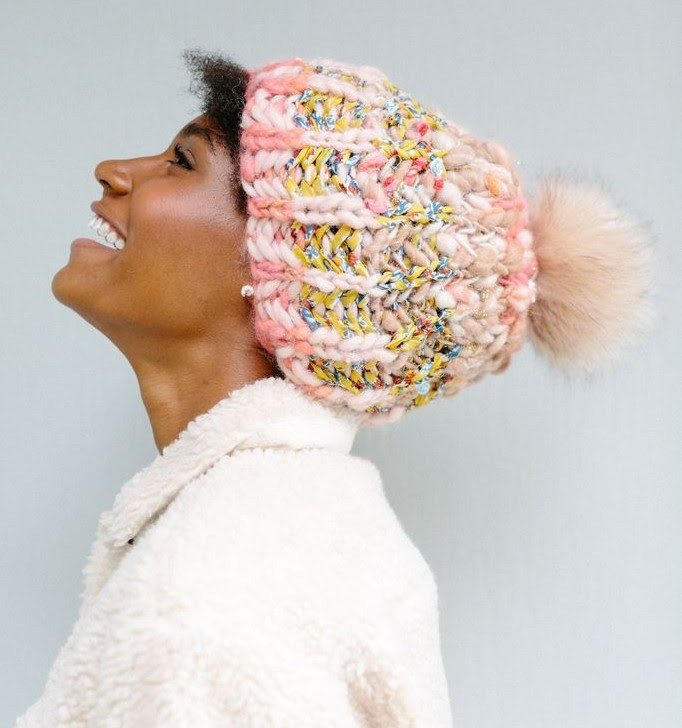 Fluffy, feather light and soft as can be, this yarn is 100% wool with 2 skinny strands of sparkly lurex plied around it in a subtle thick and thin texture. 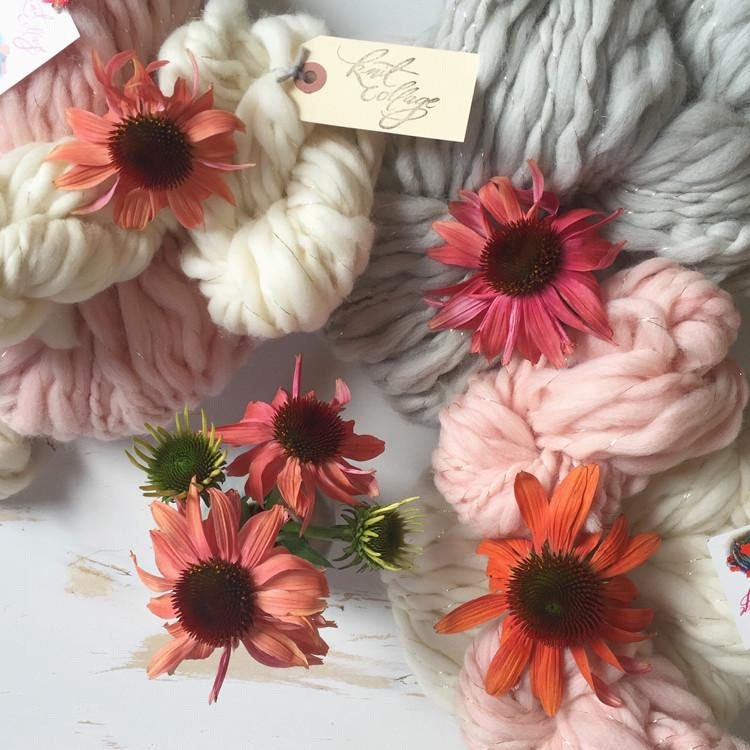 Spun Cloud comes in giant skeins and a beautiful range of solid and heathered colors. 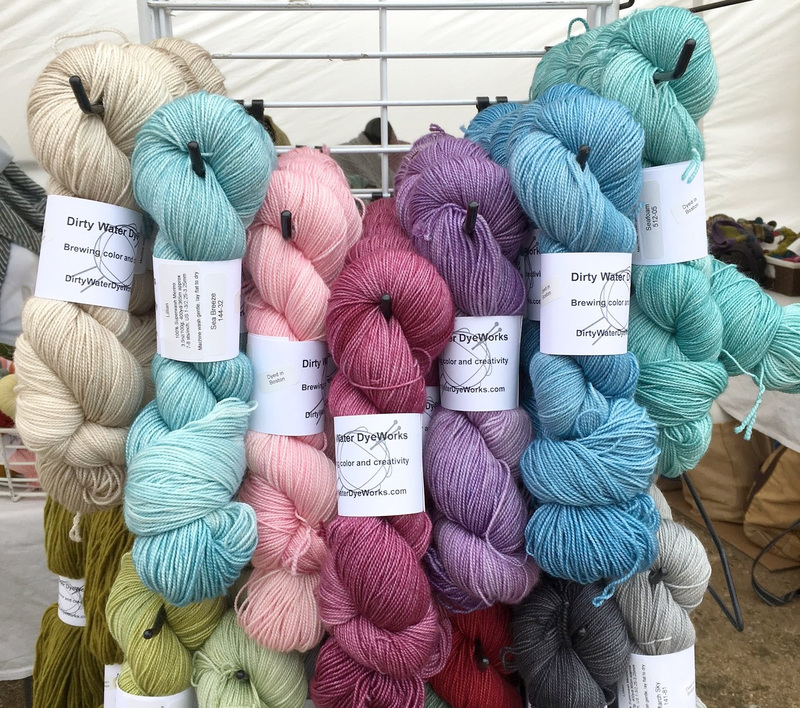 Stephanie Greigo specializes in dying saturated colorways in gorgeous semi – solids and tonals. 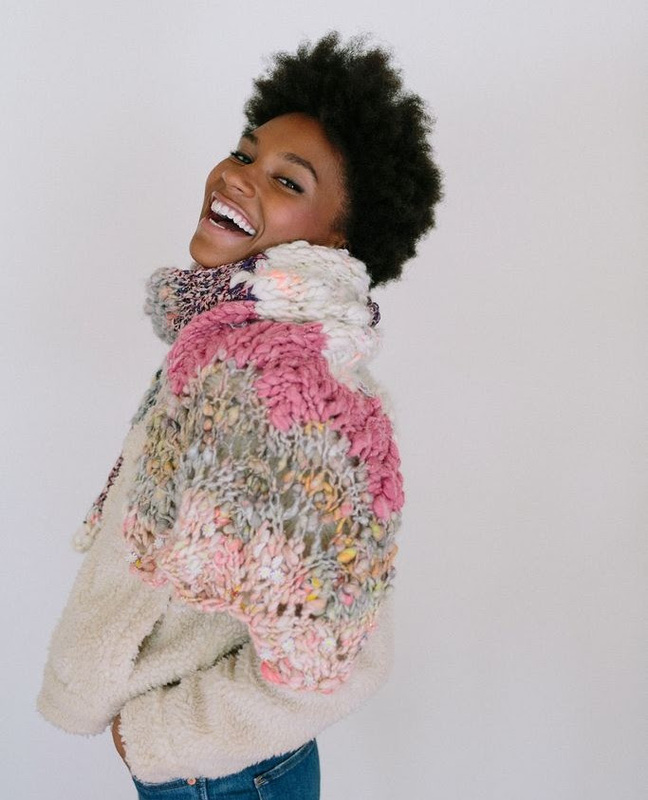 She has a wide range of beautiful bases that are a joy to knit with! 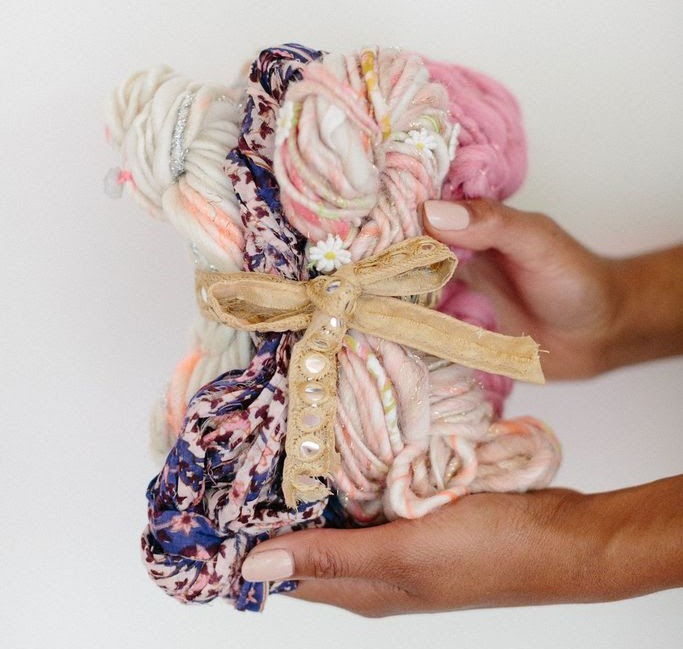 Stephanie is bringing a huge selection of yarn, including mini bundles for fun accessories that make great gifts! 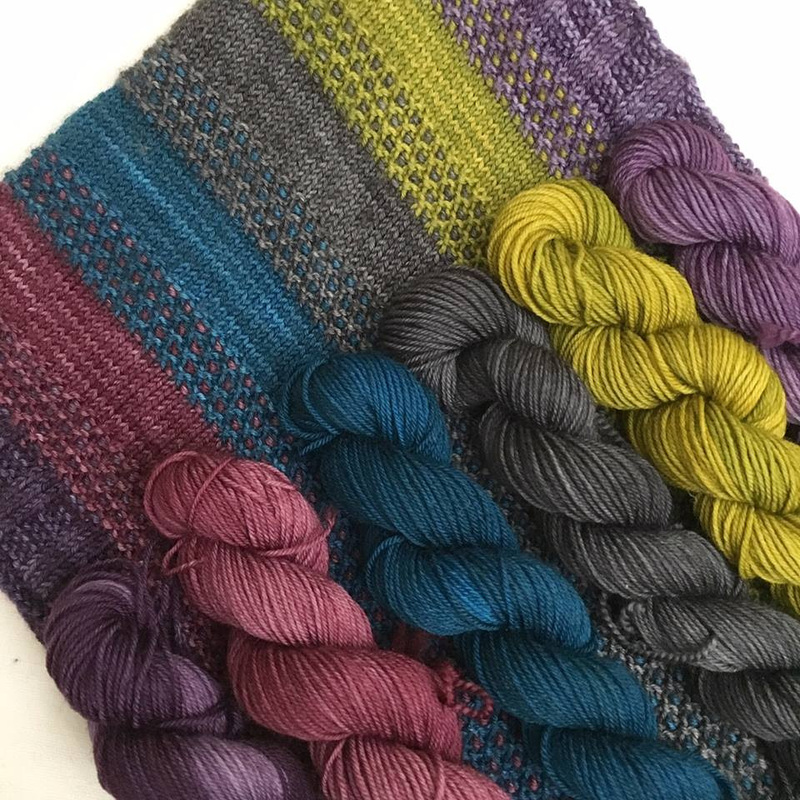 She is also introducing us to her new base – Shimmer, which is a luxurious silk and mohair blend that adds softness and loft to any project. 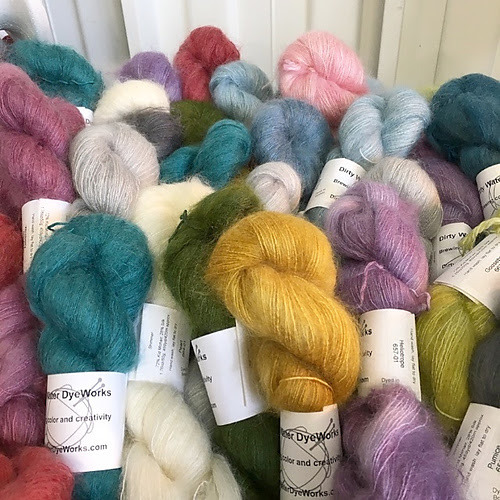 Stephanie and her yarns will be here from Noon- 3. She also travels with a huge selection of samples that are sure to inspire! Don’t miss this chance to Meet the Maker!